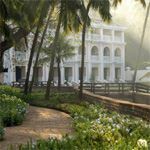 The Park Hyatt Goa Resort and Spa is one of the best beach resorts in Goa.The pousada-style guestrooms and suites blend understated elegance with regional charm. 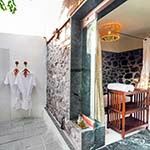 Relax in the spa-inspired sunken baths or enjoy the scenic view of the lagoons, the pool or the sea from your private veranda or balcony. Complimentary internet access, a luxurious king size bed, spacious work desk, pampering bath amenities and 24 hour in-room dining are just some of the features of the guestrooms. 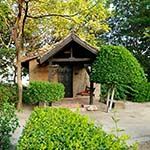 Blackbuck Lodge is situated near the entrance to Velavadar National Park in western India. All well-appointed cottages are en-suite, with viewing decks. 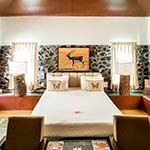 Elegant Indian antelope, called blackbuck, venture close to the cottages and bird watching is outstanding. 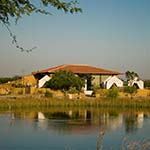 Lodge activities are centred on game viewing by jeep. 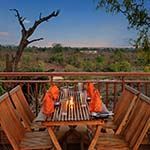 A romantic bush barbeque can be booked in a beautiful setting - with lanterns and a campfire under the star-lit skies. 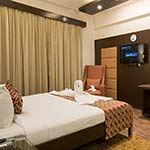 Sitting on the banks of Sabarmati River, Gateway Ummed is a modern hotel that offers en suite bedrooms with all expected amenities. 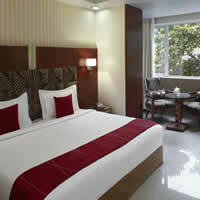 The spacious air-conditioned guest rooms have satellite TV, tea/coffee making facilities and personal safe. All rooms are en-suite with a shower. 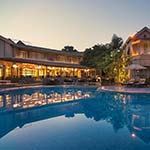 The hotel also has a restaurant, a outdoor swimming pool and a fitness centre. 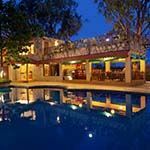 Fern Gir Forest is an eco-friendly jungle lodge situated in Sasan Gir, overlooking the Hiran River and surrounding hills. 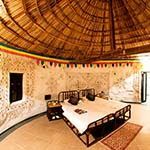 Accomodation is spacious air-conditioned rooms, decorated with a mix of ethnic and contemporary style. 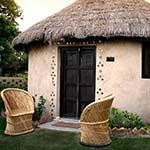 Each has as en-suite bathroom with shower and comfortable beds with either tented or wood beamed ceilings. 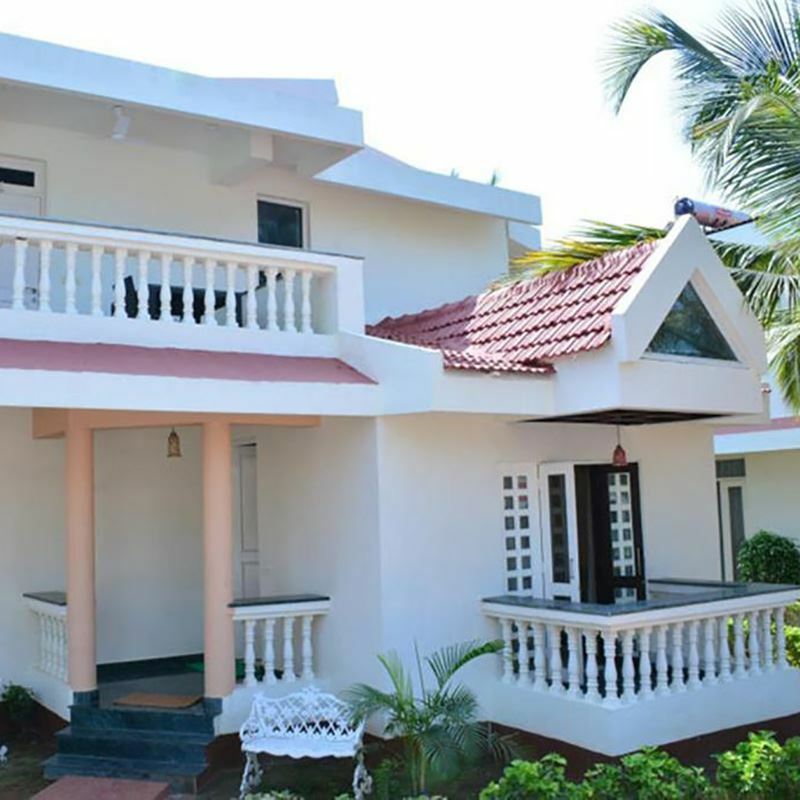 Satellite TV, mini-bar, safe, tea/coffee making facilities, bathrobe and slippers are provided. 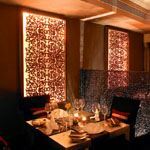 There are range of dining options available offering international, pan-Indian and local Gujarati vegetarian cuisine. 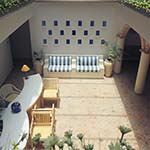 Other facilities include an outdoor terrace with swimming pool, gym and spa. 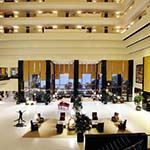 Taj Gateway is a luxury hotel situated on the banks of the Hiran River, on the edge of the Gir Forest Reserve. 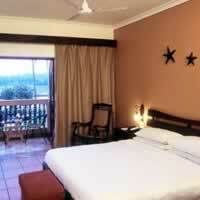 The spacious en-suite air-conditioned rooms have a contemporary décor, with wooden furniture and comfortable beds. 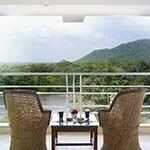 Each guest room opens out onto a private balcony with river and forest views. You can enjoy the gym, outdoor swimming pool and choice of treatments at the spa. 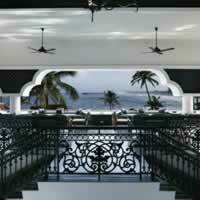 The restaurant offers a choice of regional homestyle cuisine and a la carte dishes. 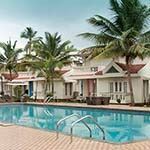 Lemon Tree, Amarante Beach is a comfortable resort hotel situated a short walk from Candolim Beach on the Goa north coast. The main part of the hotel features stained glass windows and medieval paintings, giving it a unique atmosphere. 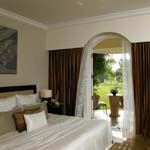 The colourful en-suite guest rooms have king size beds and large windows overlooking the manicured gardens. 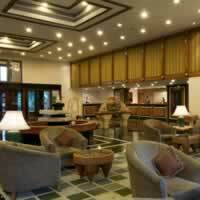 Satellite TV, free Wi-Fi, tea/coffee making facilities, safe, minibar and hairdryer are provided. 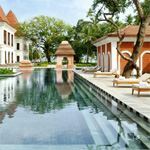 There are two dining options serving pan-Asian and international cuisine, and you can enjoy the spa and outdoor swimming pool. 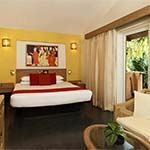 Lazy Lagoon Sarovar is a tropical oasis that combines good service with warm hospitality. 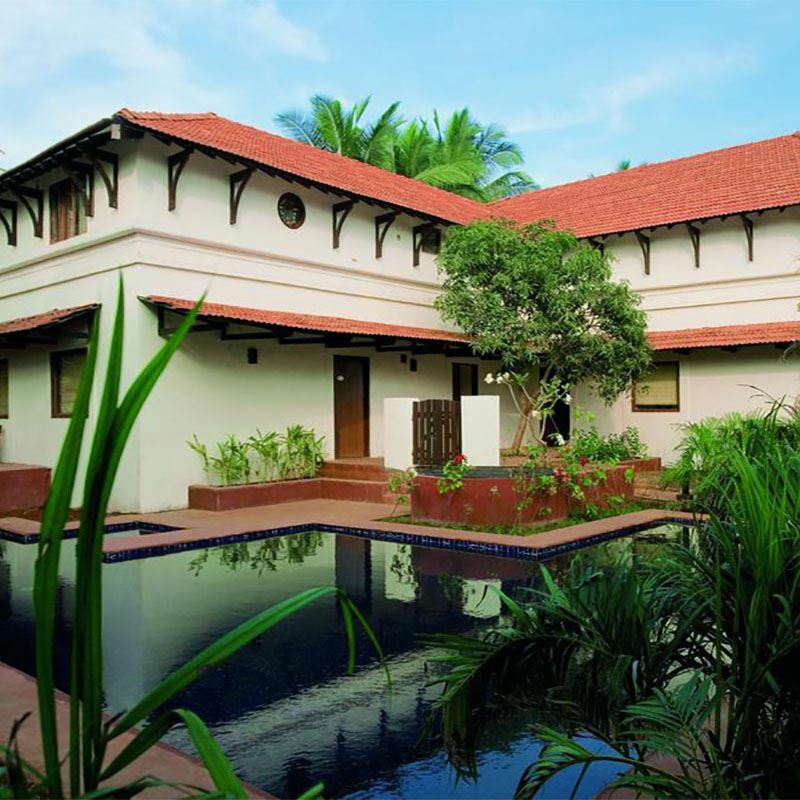 Nestled away in Baga-Arpora in beautiful north Goa, this boutique resort overlooks a lovely lagoon with adjoining beach. 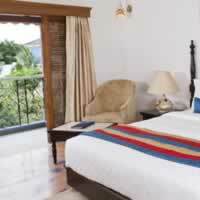 The well appointed guest rooms are vibrant and colourful, with good quality duvets. 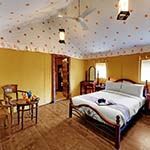 Each room is equipped with tea/coffee maker, mini bar, writing desk, safety deposit box and wall-mounted TV. 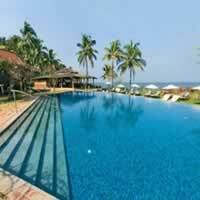 There is also a large outdoor swimming pool. 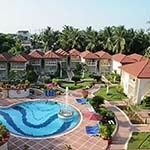 Radisson Blu Resort is situated on beautiful Cavelossim Beach in Goa and features Goan-Portuguese inspired architecture, with bright exterior colours. 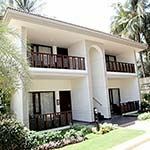 Offering sea, lawn or pool views, each luxury air-conditioned guest room features a flat-screen TV, electronic safe and work desk. Private bathroom includes a temperature controlled rain shower, hairdryer and slippers. 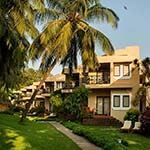 Vivanta by Taj, Fort Aguada is a luxury resort situated on a beautiful stretch of beach in Candolim, within easy reach of Goa. 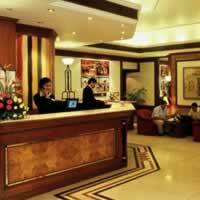 The hotel offers 5 restaurants and a coffee shop. Additional amenities include a health club, spa tub and sauna. 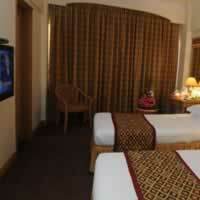 Each air-conditioned guestroom has a minibar and safe. 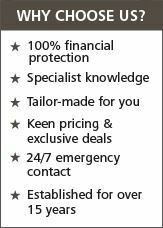 Beds have memory foam mattresses and premium bedding. 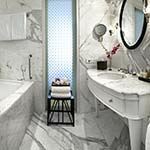 Each en-suite bathroom has a shower/tub combination with handheld showerhead, designer toiletries, hair dryer, slippers, refrigerator, tea/coffee maker and complimentary bottled water. WiFi is available in public areas (surcharges apply). 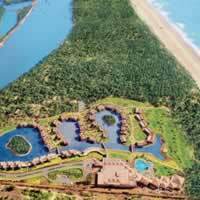 Zuri White Sands is a luxury resort situated on Varca Beach, which is one of the most spectacular in Goa. 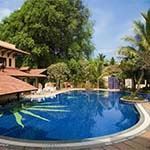 The hotel is set in acres of lush tropical gardens, with many facilities including a large swimming pool, casino, spa, tennis courts, fitness centre and library. There are two restaurants and a bar for your enjoyment. 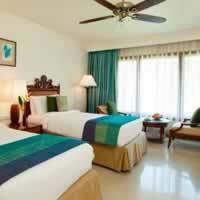 All spacious en-suite rooms have air-conditioning and complimentary WiFi is available throughout the resort. 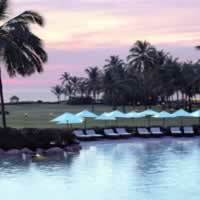 The Park Hyatt Goa Resort and Spa is one of the best beach resorts in Goa. 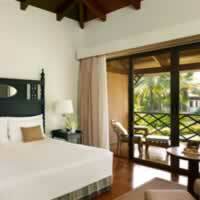 The pousada-style guestrooms and suites blend understated elegance with regional charm. Relax in the spa-inspired sunken bath or enjoy scenic views of the lagoon, swimming pool or the sea from your private veranda or balcony. 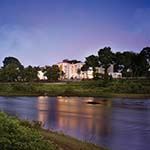 Complimentary internet access, a luxurious king size bed, spacious work desk, pampering bath amenities and 24 hour in-room dining are just some of the features of the guestrooms. 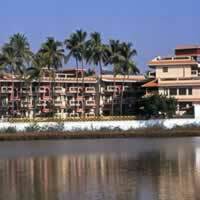 Leela Palace is set in 75 acres of tropical gardens close to pristine Mobor Beach, on the quiet south coast of Goa. 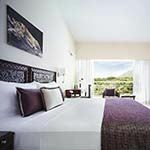 Each luxurious guest room has a private balcony overlooking the lagoon and offers the ultimate in comfort and amenities, with stunning Portuguese inspired décor. 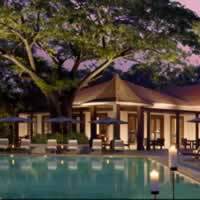 The resort has a 12-hole golf course and offers world class dining. 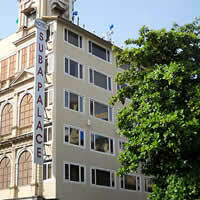 Situated near Gateway of India, Hotel Suba Palace offers free Wi-Fi and houses a multi-cuisine restaurant. 24-hour room service is available. 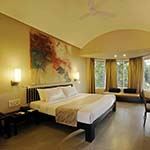 Modern rooms feature soundproofed windows and a flat-screen TV. 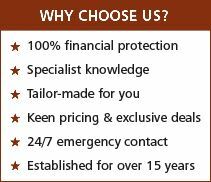 Tea/coffee making facilities, personal safe are included, tiled flooring and a seating area. 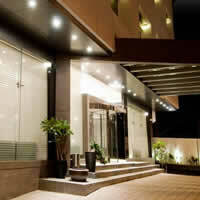 It is an hours' drive from the Chhatrapati Shivaji International Airport. 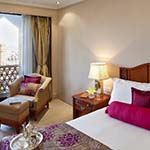 Fariyas Hotel is situated within a 5-minute drive from the Gateway of India in Mumbai. 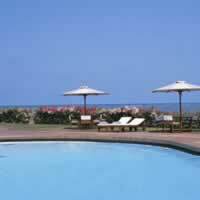 It features an outdoor swimming pool, four dining options and free Wi-Fi. Offering modern décor and floor-to-ceiling windows, each guest room has plenty of natural light and is fully equipped with cable TV and safety deposit box. 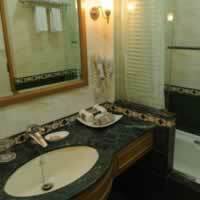 The luxury en-suite bathroom has a bathtub and free toiletries. 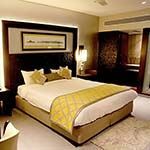 Gordon House is an intimate, peaceful hotel with elegant decor, situated in the heart of Mumbai, a short walk from the iconic Gateway of India and National Gallery of Modern Art. 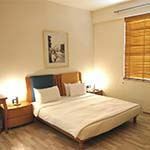 Each en-suite room is comfortably furnished and air-conditioned. 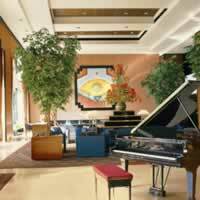 Satellite TV, free Wi-Fi, minibar, tea / coffee making facilities, safe, complimentary toiletries and bathrobes are provided. 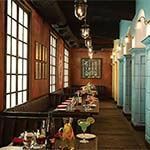 Enjoy the gym, Havana themed cafe and bar, and the Asian / Oriental restaurant serving 'street kitchen' dishes. 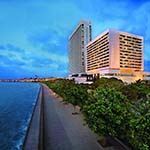 Trident Nariman Point is situated on Mumbai's beautiful Marine Drive, a long beachfront promenade with views of the city. 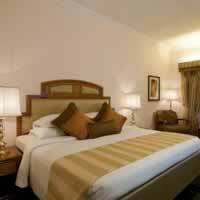 All luxury en-suite guest rooms have air-conditioning, WiFi, mini bar, tea/coffee facilities, safe and hair dryer. 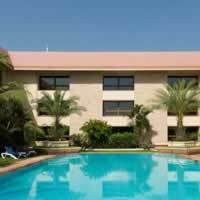 The hotel has a spa, fitness centre and several excellent restaurants, as well as large outdoor swimming pool overlooking the ocean. 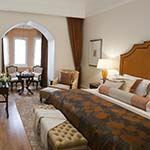 For more than a century, Taj Mahal Palace has played an important part in the life of Mumbai, hosting Maharajas and dignitaries from across the globe. 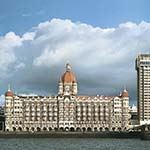 Overlooking the Gateway of India, with panoramic views of the bay, today it is a Leading Hotel of the World offering 560 luxury rooms, including 44 suites, that blend rich history with modern convenience. 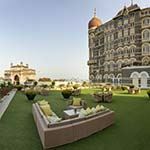 Taj Mahal Tower is a luxury hotel situated next to the historicTaj Mahal Palace and its contrasting, modern, high-rise architecture incorporates some of the traditional Indian design elements of its neighbouring hotel. 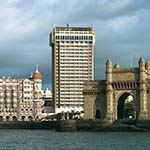 Overlooking the Gateway of India, the air-conditioned, en-suite rooms have panoramic views of the city and Mumbai harbour. 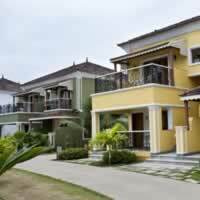 Satellite TV, mini-bar and free Wi-Fi are provided. 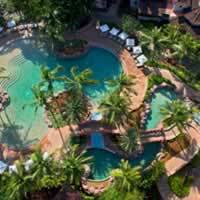 Enjoy the outdoor pool, gym, spa, sea and harbour bars and a choice of international a la carte restaurants.